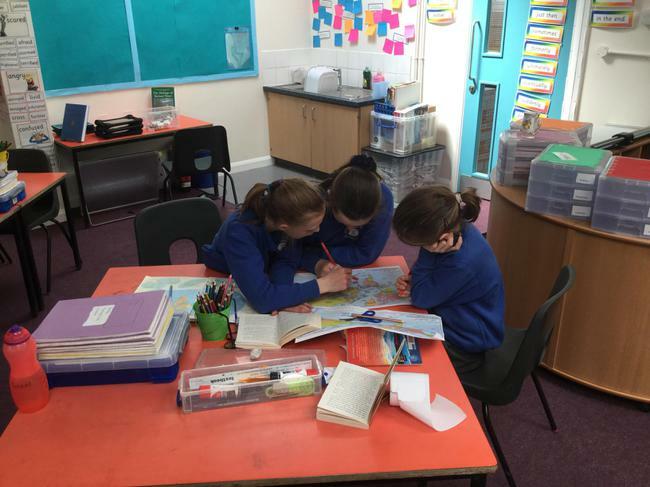 Our Enlgish lessons this term will focus on the text Kensuke's Kingdom by Michael Morpurgo and will link in with our science and topic lessons. 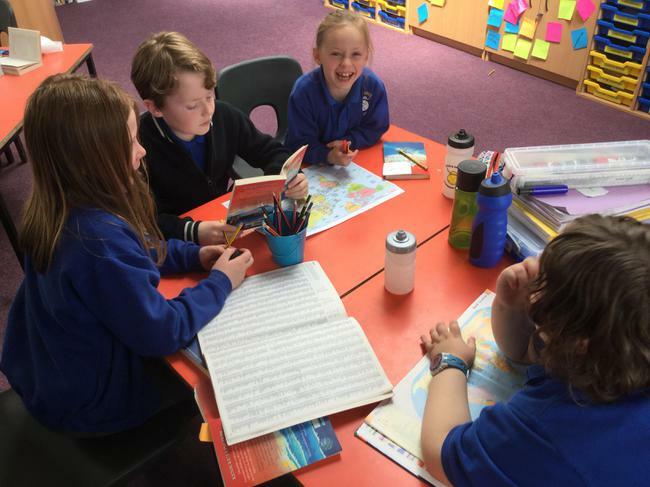 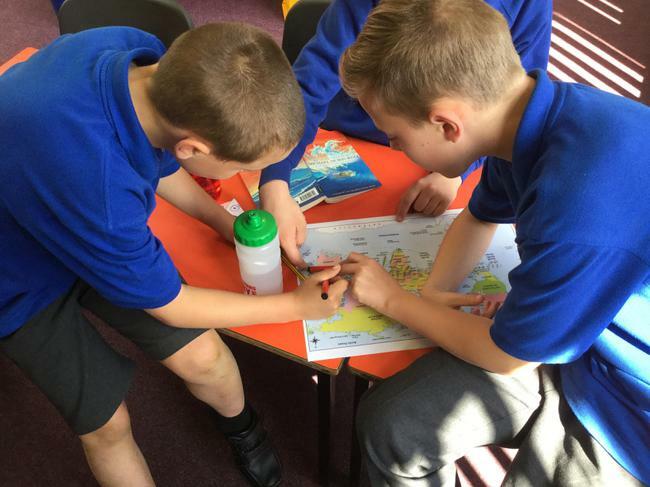 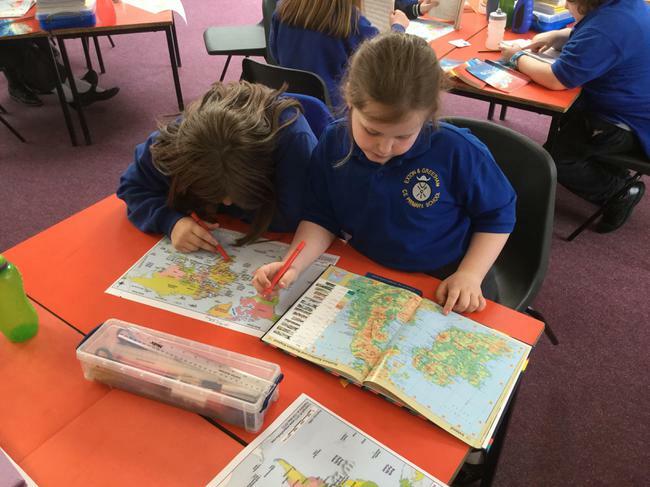 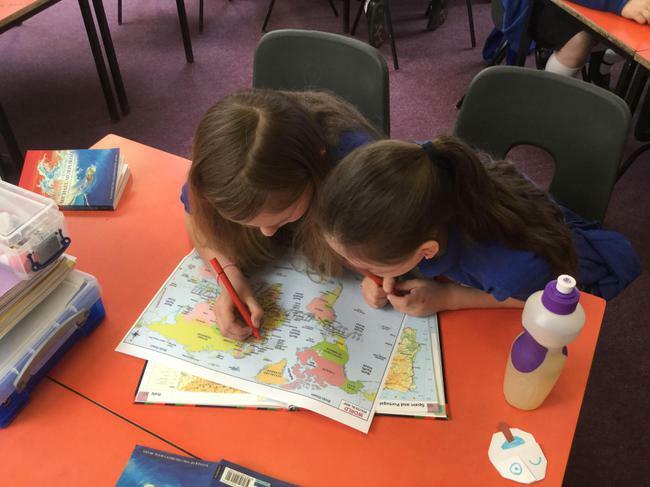 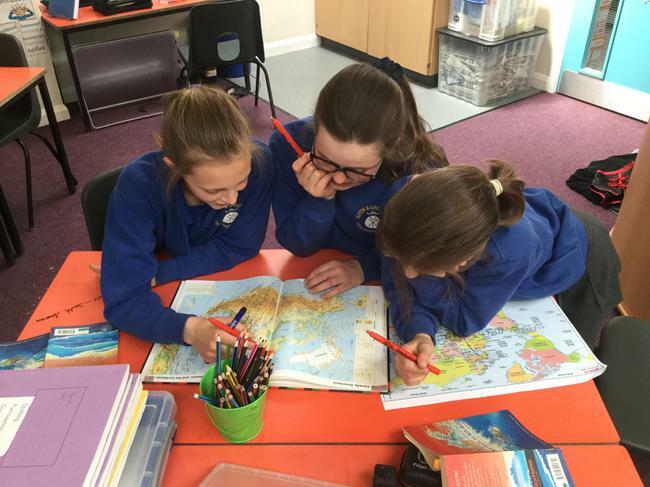 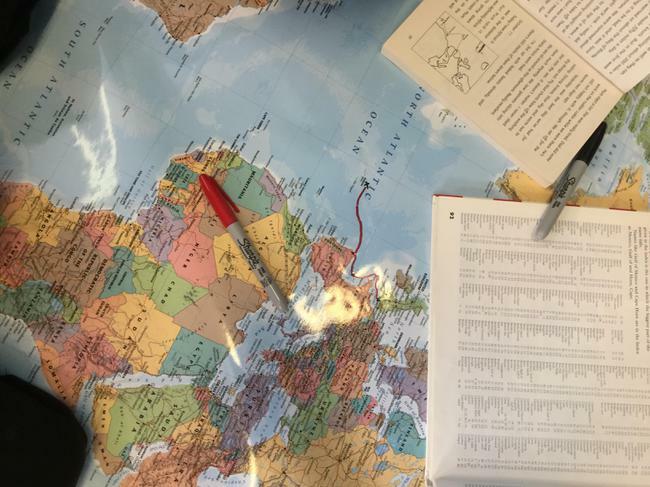 As part of our adventures unit for (based on Kensuke's Kingdom) we have been exploring maps of the world to plot Michael's journey. 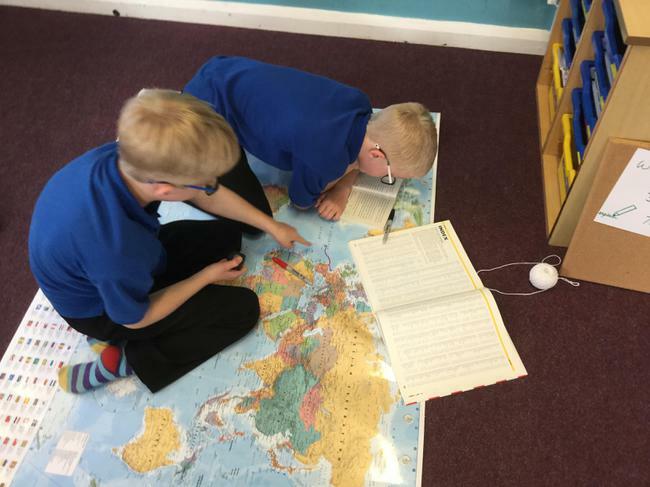 We had to read the text incredibly carefully and find all the locations visited in the story.